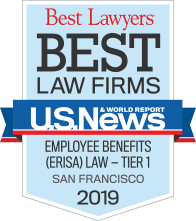 Compliance with the numerous legislative and regulatory rules governing employee benefit plans is the cornerstone of the practices at Trucker Huss. Our experience and expertise in reviewing and understanding these rules allows us to offer the highest quality counseling to our clients. Our attorneys frequently interact with the IRS and DOL on public policy issues that may impact our clients, including submitting comments in connection with regulatory proposals and participating in leadership roles in groups like the NCCMP and ABA Joint Committee on Employee Benefits that can help influence the legislative and regulatory landscape. 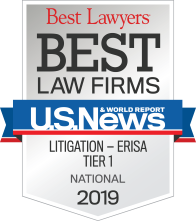 For more information regarding this area of the Firm’s practice, please contact Brad Huss, Kevin Nolt, Clarissa Kang, Nick White, Robert Gower, Joe Faucher or Katuri Kaye.